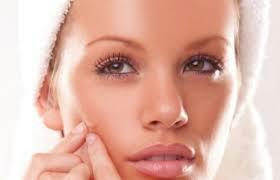 A lot of people dread pimples, and are easily irritated by the appearance of pimples on their faces. As much as we all want to get rid of them as quick and easy as possible, it is vital that we understand what causes them in the first place. In a nutshell,pimples can be caused by either or a combination of factors like Hormones,diet,poor hygiene,stress or an underlying internal issue with an internal organ. Most times pimples can be traced to one or a combination of these causes. We will not go in depth on causes of pimples in this article. As we are focusing more on the cure. Before you switch to those aggressive chemicals,creams or pills that promise instant fantasy solutions, there are quick and simple home items that can help fight pimples. It is always better to prevent them rather than treat them. So its a great start to find out what actually causes yours. Note there is no quick instant fix to pimples, depending on skin type, it may actually take a while to go off completely. Honey is a well known disinfectant and can help fight microbes in the oil tissues rapidly. It also helps to heal the pimples scar faster and quicker. APPLICATION:apply with a cotton wool and apply directly unto the skin..leaving on for no less than 30 minutes, before washing off with warm water. Unlikely you think, well yes ice cubes can be used to treat pimples that has not been fully infected, yes early detection is key here. It helps to stop the swelling of the pimple and forces the spot to contract and push out all the trapped oil or pus inside of it. APPLICATION: wrap the ice in a piece of cloth so it is easier to hold. Then apply directly on affected area for a couple of seconds. Wait for a few minutes and repeat again. Apply the ice as many times as you can. The pimple would be gone in a couple of days. Utilise the juice in lemon to get rid of pimple. The citrus extract has strong anti-microbial properties. And will kill of all the germs easily. APPLICATION: apply to affected area directly. Preferably before bedtime. You can also mix it with honey if available. APPLICATION: apply directly to affected area for no more than 15 minutes. Please wash off after 15 minuets with warm water. Cucumbers are great for fighting off acne, Cucumber contains vitamin A and potassium. Cucumber also helps to reduce inflammation of the skin. APPLICATION: slice and soak in water for about 2 hours. The supplements like the potassium and vitamin A will mix with the water. Drain the water, and use to rinse the face daily. Alternatively, you can use put Cucumber slices directly on your skin or apply the paste like a face mask on your skin. These are some of the quick and easy home remedies for pimples. Give them a try or recommend it to someone who might need it. Please Share this post, a friend may just need this.